"Art isn't easy," but when everything comes together just right, the results are sensational. 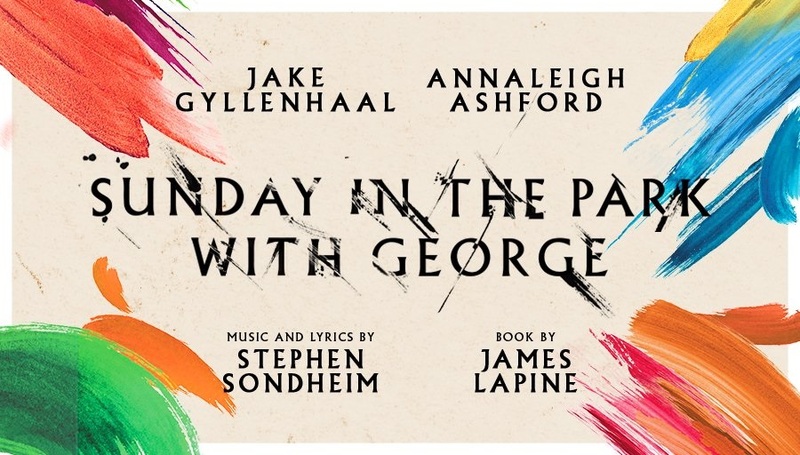 Such is the case in the sumptuous revival of the Pulitzer Prize-winning musical, Sunday in the Park with George. 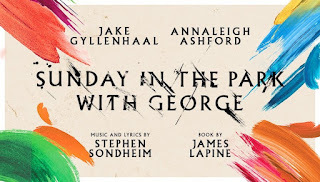 The Stephen Sondheim–James Lapine musical follows the artistic endeavors of two Georges, the late-19th century painter, Georges Seurat, and George, an American artist (whom we meet in 1984) who, in this story, is a descendant of Seurat. Both artists (played by Jake Gyllenhaal) struggle with "putting it together," balancing (not always successfully) the different parts of their lives that ultimately make up their art. Both must contend with the continual push and pull of competing forces; Seurat's main contention is between his personal life (making room for his lover, Dot (Annaleigh Ashford), and his art) while George is consumed with the tension between commerce and art. In "Finishing the Hat," one of the show's most famous songs, Seurat sings, "they have never understood." In one of Mr. Sondheim's most personal shows, he attempts to make "them" understand, to show the world what it means to be an artist. Not merely a practitioner of a particular mode of art but a true artist, to feel it in your bones, to feel this fire inside for something so important. Consider "The Day Off," a song about what everyone, including the neighborhood dogs, do on Sundays. We get a glimpse into the creative process as Georges inhabits the dogs, getting down on the grass and rooting around to literally see their point of view. (Gyllenhaal's humor and charm come through winningly in this number.) How can you paint (or write or act like) someone or something honestly (not necessarily accurately but honestly) if you don't see the world they way they do, if you don't try to become them, even for a moment? You might recall that this Broadway revival began as a four-concert run at City Center. When I saw that iteration, I was disappointed in the direction, feeling that pivotal moments were weak due to the blocking. 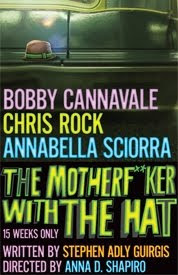 I was pleased to see that director Sarna Lapine (niece of the book writer James) made some changes, most notably to "Finishing the Hat." 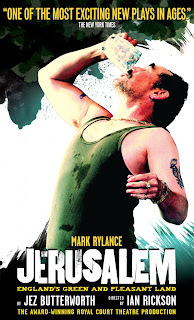 Rather than sitting down, Lapine has Gyllenhaal standing, looking tense, focused, and strong. He looks like perhaps he's tethered to his spot, as Georges might feel tethered to his art, despite genuine longings for Dot (or some other human affection). The actors had something to do with that, too, of course. While Sunday really belongs to George and his women (Dot in the first act, Marie (also Ashford) in the second), the featured players are all top notch. Transferring from the City Center production are, among others, Tony winner Ruthie Ann Miles (The King and I) and Tony nominee Phillip Boykin (Porgy and Bess). Stage and screen veteran Robert Sean Leonard (Dead Poets Society, Prodigal Son) joins the production (and has one of the best bios of the year) as Jules/Bob, and Jenni Barber (The Performers) and Ashley Park (The King and I) also join the company, bringing lightheartedness to Celeste #1 and Celeste #2 in act one. Our leading players knock this out of the park. It's a shame that the producers have withdrawn from Tony consideration considering that Jake Gyllenhaal and Annaleigh Ashford are giving two of the most amazing performances on stage this season. Gyllenhaal is sensitive and focused. With great concentration and vulnerability, he brings depth and soul to the Georges, painting complete pictures of both artists. And Tony winner Ashford (You Can't Take It With You) is, as the actress herself might say of others, magical. She is so damn funny and touching. She's a laugh a minute in the titular opening number, soft and touching in "Children and Art," and she and Gyllenhaal will break your heart in the most beautiful, profound way in "Move On." Art isn't easy but it's important, and this team makes you understand why. Sunday in the Park with George is playing a strictly limited, ten-week engagement. 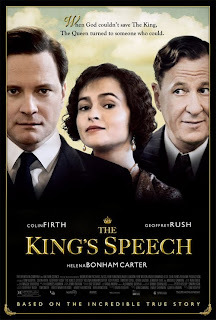 Run to see this (if you can get a ticket) before it concludes on April 23.